The philosophy of ARATI HEALING is to enjoy the experience of Reiki, whether you are a novice or an experienced student of Reiki. Reiki can change your life in a completely positive direction. Personally, I also believe that you should have fun experiencing it and cherish the divine energy while it is freely flowing throughout your body. Reiki is there to complement your life and steer it into a new direction, and not take over or replace your existing life. I try to teach and practice Reiki in a light hearted way. 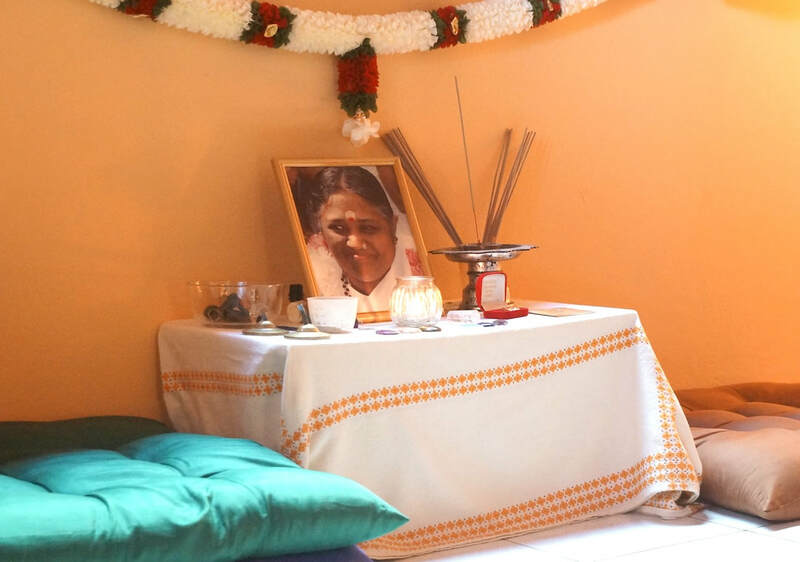 I received and continuously keep deriving my energy from my spiritual teacher Amma, the Hugging Saint. I was blessed enough to see her multiple times. I have never experienced her not smiling. Her aim is to bring joy to the world. I embrace this joy in my daily life and strive to share it with my students. 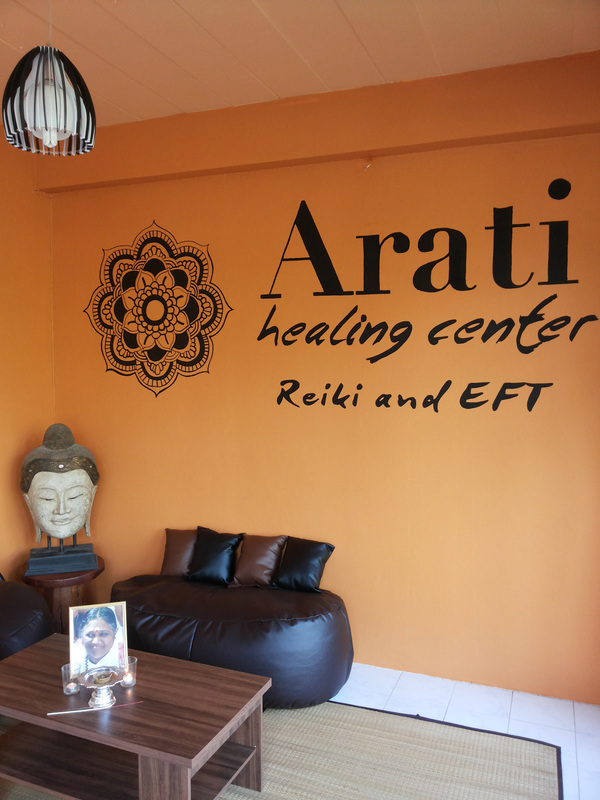 Therefore, ARATI's approach to Reiki: No one is born a master of Reiki. Don't take it too serious or try to force it - simply enjoy the divine energy and have fun with it. 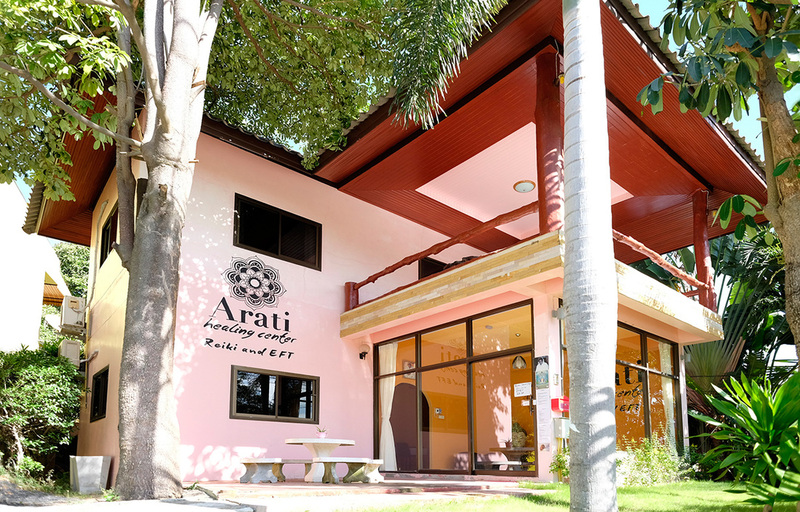 To learn more about Arati Healing Center watch the video below. The Mata Amritanandamayi Math (MAM) is an international charitable organization aimed at the spiritual and material upliftment of humankind. It was founded by spiritual leader and humanitarian Mata Amritanandamayi (AMMA) in 1981, with its headquarters in Paryakadavu, Alappad Panchayat, Kollam District, Kerala, India. Along with its sister organization, the Mata Amritanandamayi Mission Trust, MAM conducts charitable work including disaster relief, healthcare for the poor, environmental programs, fighting hunger and scholarships for impoverished students, amongst others. It also runs the five-campus university known as Amrita Vishwa Vidyapeetham, and conducts classes in yoga, meditation and Sanskrit. 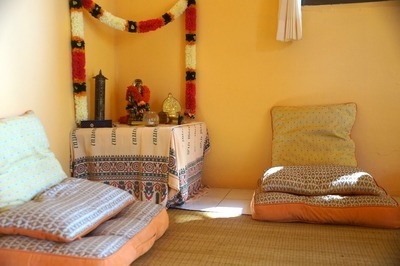 MAM is a volunteer organization, basing its activities on the principle of karma yoga (work as an offering to the divine). Its headquarters are home to more than 3,000 people, a mix of householders, monastics and monastic students. 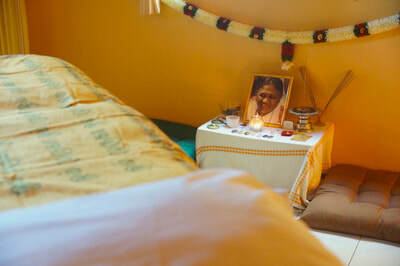 People make the pilgrimage to MAM every day in order to receive the blessings of Mata Amritanandamayi. MAM, along with Amritanandamayi's other centers and organizations throughout the world function collectively under the umbrella title of Embracing the World. Since 2001, the Mata Amritanandamayi Math has consistently dedicated volunteers and resources in response to disasters within India. Its most extensive disaster-relief program followed the 2004 Indian Ocean earthquake and tsunami. In response, MAM provided a value of $46 million in relief, including the construction of 6,200 tsunami-resistant houses in India and Sri Lanka, as well as 700 new fishing boats. It also constructed a multimillion-dollar bridge providing Alappad Panchayat, a tsunami-at-risk peninsula community, an evacuation route to the mainland. MAM has provided a combination of medical care, food, shelter, monetary aid and other forms of relief following the flooding of Karnataka and Andhra Pradesh in 2009, Bihar in 2008, and Gujarat in 2005 and Bombay in 2005, as well as the Kashmir-Pakistan earthquake of 2005. It also reconstructed 1,200 homes following the 2001 Gujarat earthquake. 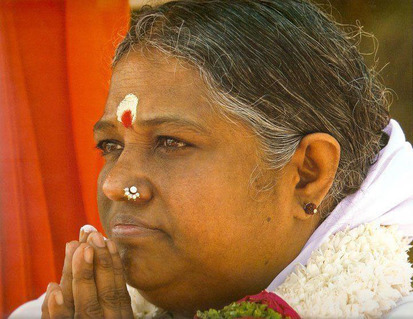 In connection with its sister organizations, such as the Mata Amritanandamayi Center in the United States, it also has responded to disasters outside India , including medical supplies, blankets and care for orphans following the 2010 Haiti earthquake, a donation of $1 million to the Bush-Clinton Katrina Fund, following Hurricane Katrina, and $1 million in relief aid to victims of the 2011 Tōhoku earthquake and tsunami, with a focus on children orphaned in the disaster. In 1998, MAM opened the Amrita Institute of Medical Sciences and Research Centre (AIMS) in Cochin, Kerala. Most of AIMS' patients receive subsidized care. The hospital has 1,300 beds and an attached medical college with a 400-bed facility, as well as a 210-bed Intensive Care Facility. Since 1998, AIMS and MAM's other charitable medical institutions have treated more than 5.5 million patients. AIMS has an extensive pain and palliative home-care program, telemedicine facilities and conducts medical camps in remote areas. MAM also runs four other charitable hospitals, including three in Kerala (one in Kalpetta, one in Pampa and one in Amritapuri) and one in Mysore, Karnataka. 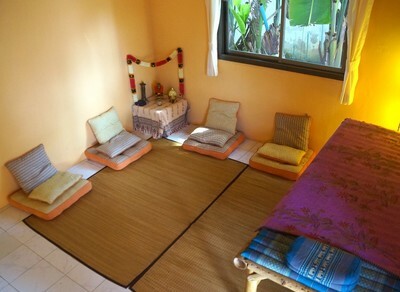 MAM also runs an HIV/AIDS Care Center in Trivandrum, Kerala, the Amrita Kripa Sagar Cancer Hospice in Mumbai and the Amrita Health Center in Port Blair, Andaman Island. This is a great opportunity for all of us to give something back to people who require help all around the world.